Little round beetles with red coats and black spots crawl through gardens and trees, and on flowers in pots. 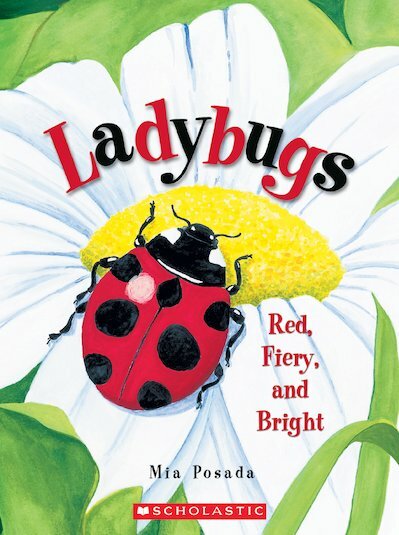 Lyrical rhymes, vivid pictures: a nature fact book as distinctive as the spotty red bugs in it. Ever wondered how ladybugs get their spots? Or exactly what they do in your garden? Find out all about your favourite fiery red bugs in this fact-filled nature rhyme. Do you know why gardeners love them? Or how they are born and develop? With vivid close-up pictures and heaps of fun facts, this is a real treat for all you nature-lovers.